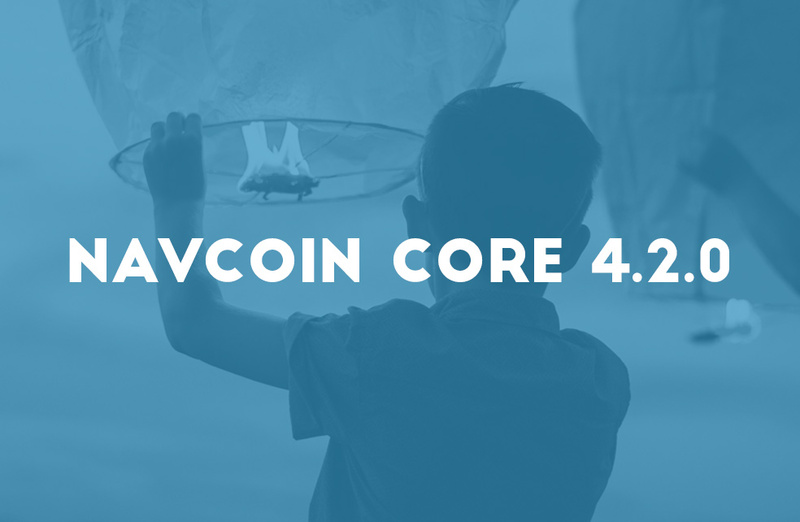 NavCoin Core 4.2.0 is now available for download. This update includes two important soft forks. One kick starts the accumulation of the community fund while the other adds NTP server syncing to ensure all blocks are submitted with the correct timestamp. Please make sure you update your wallet if you want to see these soft forks enabled. Reduction of the staking rewards to 4%. Consensus validation of the previous rule. Uses a separate DB on disk to store data about the Community Fund, increasing performance. Requires mandatory clock sync against an NTP server for every node on launch. New consensus rule where no blocks in the past can exist, and maximal drift in the future for a block is 60 seconds. Peers whose clock drifts more than 30 seconds are disconnected. Clock change attempts are automatically readjusted. New multi-argument -ntpserver= to allow user to manually specify servers. New argument -ntpminmeasures= to allow user to specify the req. min. of measures. New argument -ntptimeout= to allow user to specify how many seconds should we wait for the response of a ntp server. New argument -maxtimeoffset= to set the max tolerated clock drift for peers. An additional network “devnet” is added. Fixes wrong pixel density on HiDPI screens. Menu option to export private key of an address and master private key. Accepts URI to sign messages. URIs of the format navcoin:http://domain/something/?a=navcoin_address&m=some_message will make the wallet to sign “some_message” and return the produced signature as a POST request to the URL specified in the URI. Shows and categorizes correctly contributions to the Community Fund and payments received from it. Does not show Orphan Stakes on the Transaction List. Removes Community Fund voting popup. Ignores Coinstake Output when calculating the Witness Merkle Root, fixing a bug related to Segregated Witness transactions. Bans nodes with obsolete versions. Removes some recurring log messages. Updates the package version of some dependencies, solving compatibilities issues with some operating systems. Bundles some dependency libraries with the binaries. Fixes some of the test units.